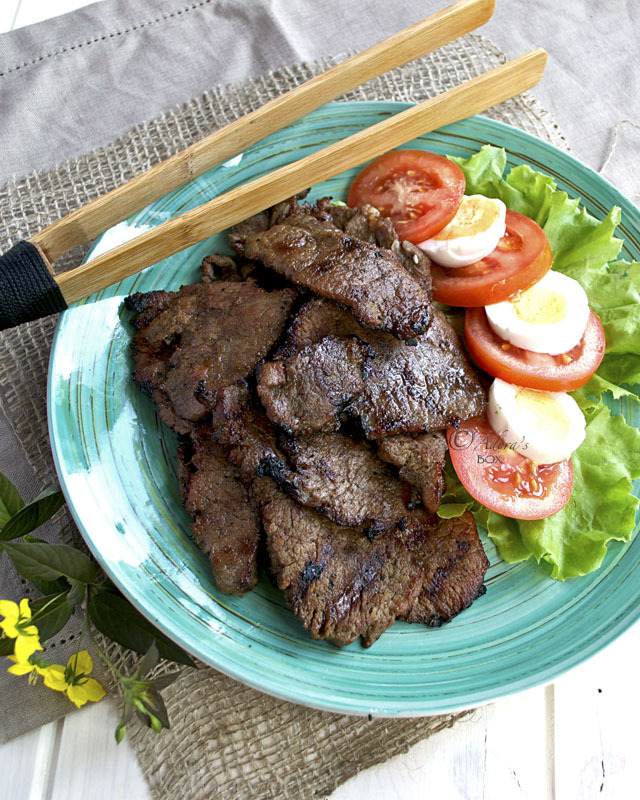 Beef tapa is a classic Filipino dish which simply means fried beef slices. 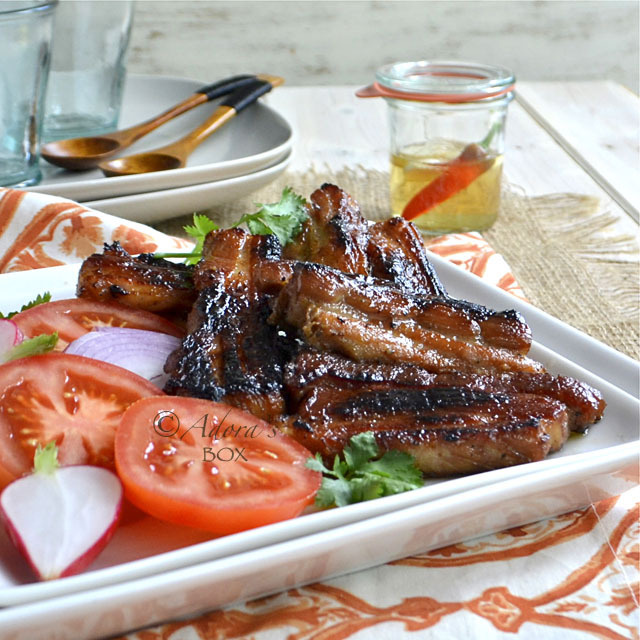 It became more popular when it was included in the trio of perfect sinangag (fried rice) and fried egg partners alongside longganiza (Filipino sausage) and tocino (cured pork). A lot of eateries called silogan serving only these three dishes have sprouted everywhere in the Philippines. It is probably the Philippines' answer to English all day breakfast. 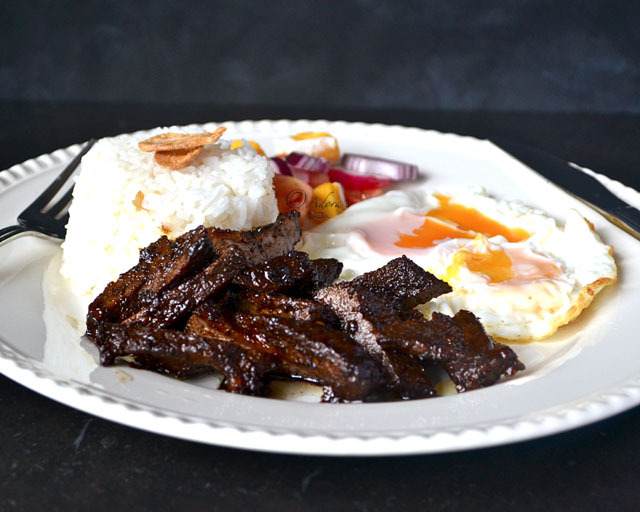 This version of tapa is sweet and spicy, perfect to whet your appetite. 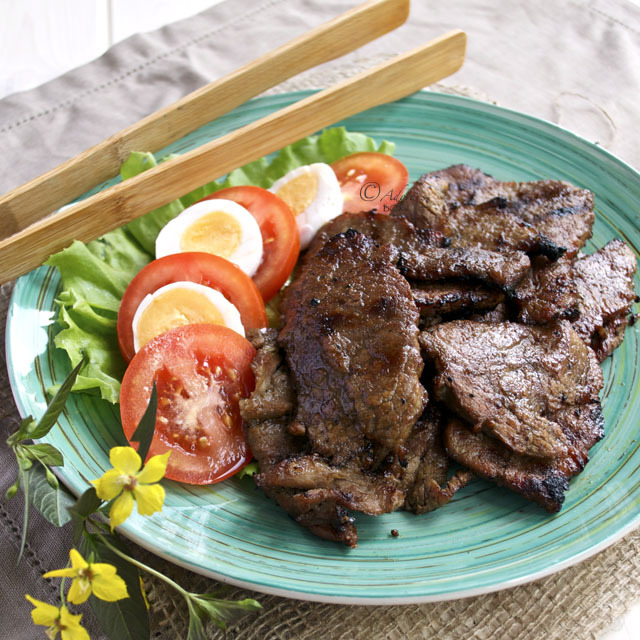 Marinade the beef in a mixture of the rest of the ingredients and marinade for at least an hour. Pan fry in a little bit of oil, on low heat, until browned and cooked through. You can also grill the pieces of beef. 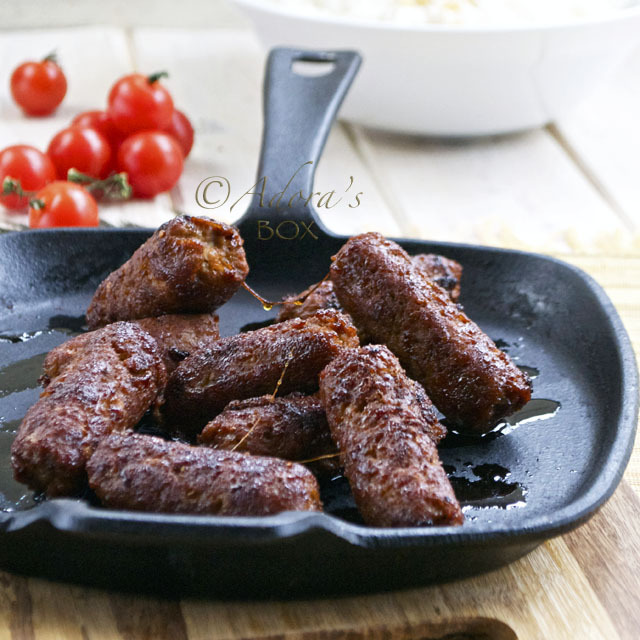 Serve with a dip of garlic and vinegar or accompanied with chopped tomatoes and salted eggs or papaya pickles. 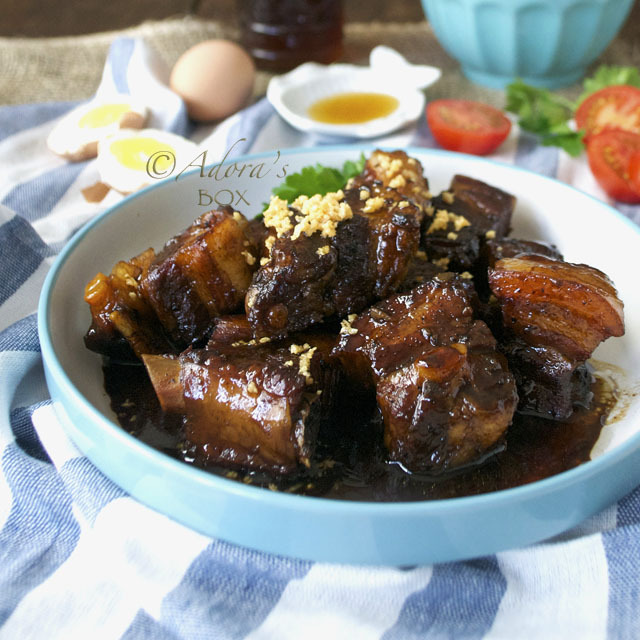 can you please pass the rice adora haha.. would love to eat this right now. 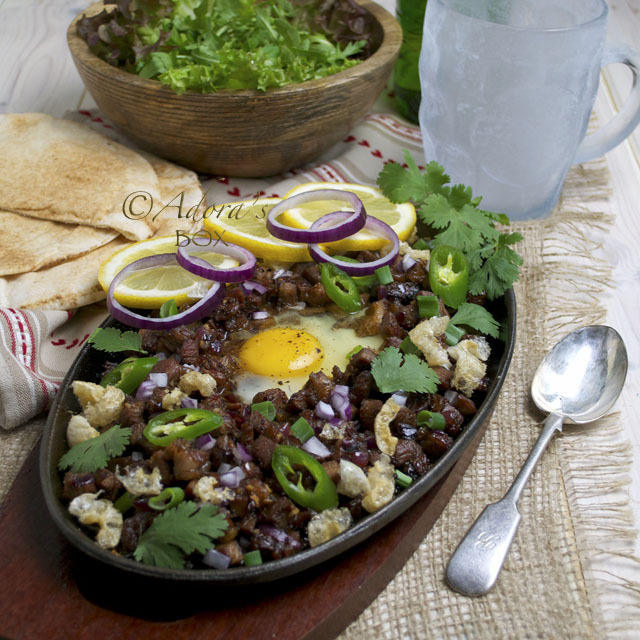 with sinangag and egg... with sinamac on the side...yum1 craving level:HIGH! and Im about to sleep.. tsk tsk I heard it's bad to sleep in ths situation haha! you're making me hungry, adora! haven't had lunch yet, and i would gladly have a tapsilog!